I went on FB this morning intending to post a quick notice for BWT3’s recurring Essen Haus gig. What I saw right away was a double dose of bad news. Two bass playing friends, gone—Steve Kasprzak, orchestral bassist and longtime musical mainstay of the Christy Larson Honky Tonk Trio, and Bill Beckman, master carpenter and longtime bass man for Shari Davis and others—both wonderful guys, both gone too soon. I suspect that my reaction was similar to that of others, not just a fast fall into a pit of sadness, but frustration that I might have missed a chance to say or do something that could have helped them, or at least helped them understand how much I respected them and valued their friendship. BEFORE it was too late. But the show must go on. Tonight’s gig is for Steve and Bill, my fellow laborers in the low end. Thanks for all you gave us. 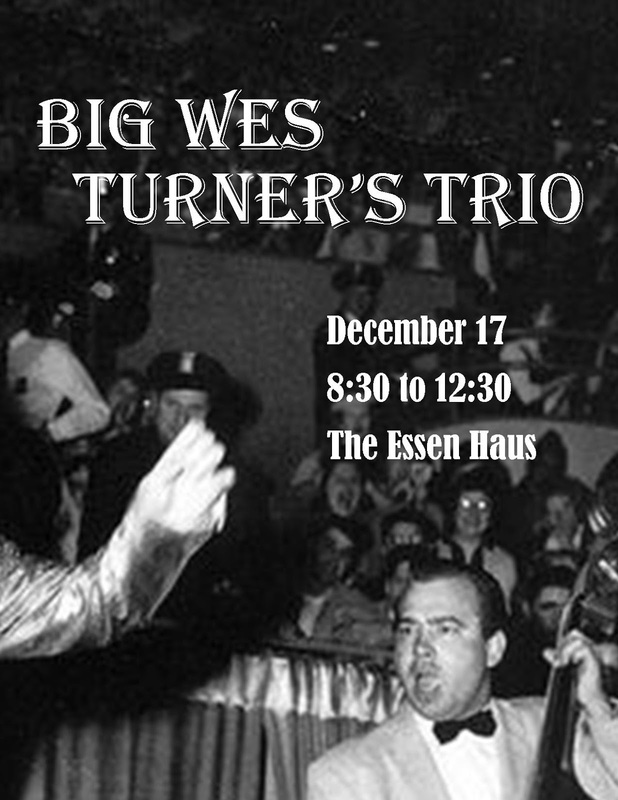 Dec. 17, Big Wes Turner’s Trio, last pre-Christmas Thursday at The Essen Haus. Special guest Randy Kiel on guitar. Dec. 18, The Birddog Blues Band at Smokey’s in Monroe, WI.